Tube maintenance workers are to stage a new wave of strikes in a row over pensions and benefits. Staff who maintain and upgrade three Tube lines will walk out for 24 hours at 06:00 GMT on Friday to kick start the industrial action. The Rail Maritime and Transport union is demanding equality and a fair deal for Tube Lines' employees. 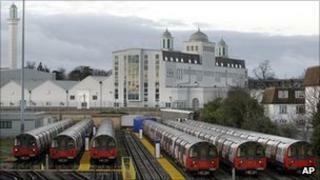 Transport for London has said the workers kept existing terms and conditions of employment. Weekend engineering work on the Northern Line was postponed when workers staged the last 24-hour strike over the issue on 1 November. The RMT union wants Tube Lines employees to be able to join TfL's pension scheme and receive travel concessions, which the union said other people who worked for TfL received. It said after months of discussion between management and the RMT, a satisfactory conclusion had not been reached and as a consequence a further wave of industrial action has been confirmed.